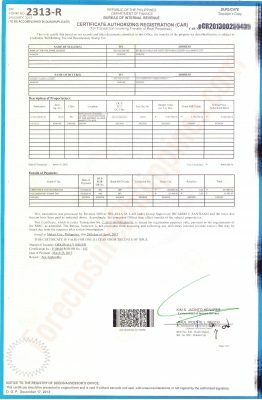 One of the most important documents that you need in order to transfer a title of a property from the seller to the buyer is the Certificate Authorizing Registration (CAR) and Tax Clearance (TCL) from the Bureau of Internal Revenue (BIR). In this post, I’ll share a step-by-step on how to secure them. The CAR and TCL is your proof that the proper taxes on the transaction have been paid. The Register of Deeds requires the presentation of these documents as a pre-requisite for title transfer. See sample CAR below, which is from one of my husband’s transactions (with details blurred out). 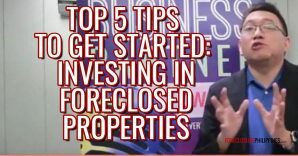 The first step is to have a notarized document evidencing the sale of the real property classified as a capital asset, usually a Deed of Absolute Sale. You may find samples of this document through google, including here and here. Next, the taxes need to be paid. You may refer to previous posts on Capital Gains Tax (CGT) and Documentary Stamps Tax (DST). After you have paid the taxes, you need to request for the issuance of a CAR and TCL from the Revenue District Office where the real property is located. You need to submit the documents supporting the transaction, as well as proof that the correct taxes (both the type of tax and amount of tax), have been paid. The Checklist of Documentary Requirements is in the annexes of Revenue Memorandum Order (RMO) No. 15-03, in particular, Annex “A”. For additional documents, refer to Revenue Memorandum Circular (RMC) No. 76-07 dated October 25, 2007. The process flowchart is in Annex “L” of the Annexes of RMO 15-03. Please take note that the CAR for the transfer of real property shall be released by the Revenue District Office (RDO) where the real property is located. 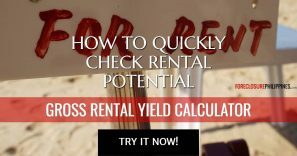 Thus, it is important for you to determine the correct RDO since you will be paying the taxes in the Authorized Agent banks (AAB’s) of such RDO. 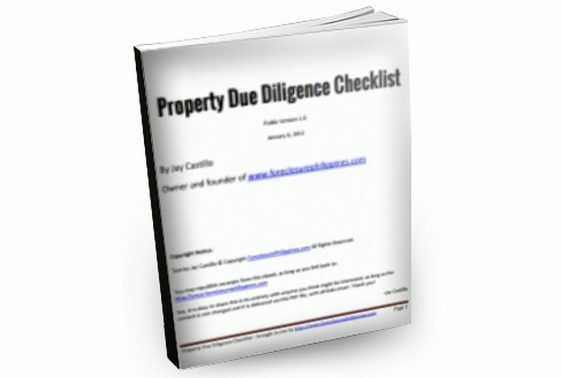 It is possible that you may think a property falls under the jurisdiction of one RDO when in fact it is under another RDO. If you have already paid the taxes in an AAB of another RDO, you may have to undergo certain processes to transfer your payments to the correct RDO. 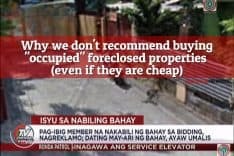 So, my advice is to look at the map of the coverage of each RDO (there should be a big map at the RDO) to check if indeed the property falls within the jurisdiction of the said RDO. Notarized Deed of Absolute Sale/Document of Transfer. Bring the original and at least two photocopies. The photocopies will be compared against the original and the BIR will retain only the photocopies. Notarization fee is usually 1% of the selling price, but some notaries public may charge a lower fee. Just make sure that the notary public is a real one. Prepare at least five copies of the Deed of Absolute Sale (one for the notary, one for the buyer, one for the seller, one for the BIR, and one for the Registry of Deeds). Prepare photocopies of two government-issued ID’s each of the buyer and the seller. You need the information in the said ID’s in the acknowledgment of the Deed (indicate the name, ID number, date issued, place issued, date of validity). 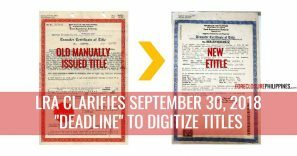 Owner’s copy of the Transfer Certificate of Title (TCT), Condominium Certificate of Title (CCT), or Original Certificate of Title (OCT). Bring the original and at least two photocopies. The photocopies will be compared against the original and the BIR will retain only the photocopies. You may also get a Certified True Copy (CTC) of the TCT, CCT, or OCT from the Registry of Deeds. For Quezon City, the Registry of Deeds is located behind the National Statistics Office (NSO) along East Avenue. Make sure that you have with you a photocopy of the title, authorization letter from the owner, and ID’s of the owner who authorized you to get the CTC of the title. 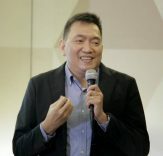 When Jay secured a CTC last July 2012 from the Quezon City RD, the issuance fee was P144.00 and the IT Service Fee for the issuance was P643.88, for a total of P787.88 for one CTC. Make sure that you get a genuine title and not a fake one. 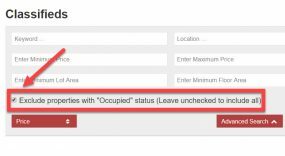 Check the Guidelines On How to Detect Fake Titles from the LRA website. Format may be found on Annex “D” of the RMO 15-03. Get a Certified True Copy of the latest Tax Declaration from the City Assessor’s Office. 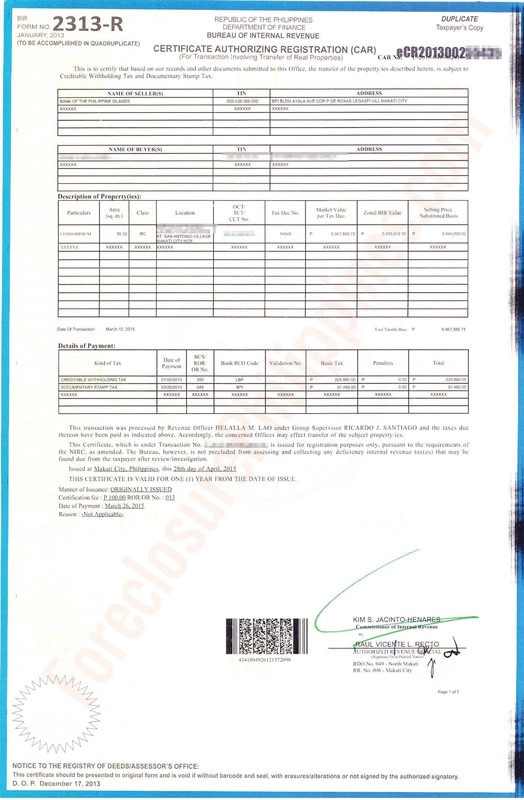 Photocopy of the official receipts issued by the seller, for purposes of determining whether the sale of real property is on cash basis, a deferred payment sale (when payments in the year of sale exceed 25% of the selling price) or on installment plan (when payments in the year of sale do not exceed 25% of the selling price). The original copy of the official receipts shall be presented to the Bureau for authentication during the processing of the application for Certificate Authorizing Registration (CAR). However, if the seller is not engaged in business, the acknowledgement receipts issued by the seller to the buyer or any proof of payment shall be presented. Certified true copy of the original CAR (copy of the Registry of Deeds) pertaining to the transfer of property prior to the issuance of Original/Transfer Certificate of Title (OCT/TCT) or Condominium Certificate of Title (CCT) which is the subject of the current sale/transfer, or certification issued by the Registry of Deeds indicating the serial number of the CAR, date of issuance of CAR, the Revenue District Office Number of the district office that issued the CAR, the name of the Revenue District Officer who signed the CAR, the type of taxes paid and the amount of payment per tax type. Notarized Special Power of Attorney (SPA), if the person who signed the document is not the owner which appears on the Title. You may find samples of this document through google – here is one. Certification of the Philippine Consulate, if the document is executed abroad. The SPA will be either consularized or authenticated. The document will usually have a red ribbon in front. Location plan/Vicinity map if the zonal value cannot be readily determined based on the documents submitted. I think using google maps (maps.google.com) may suffice. I suggest that you already have the checklist of documentary requirements ready, and have one file containing all the originals and two sets of photocopies so that the BIR One-Time Transaction (ONETT) officer will have an easy time evaluating your documents. The BIR’s ONETT team will also be relying on this computation sheet so I suggest you make your own computation so you can compare it with the computation of the BIR. The computation sheet can also be found in Annex “B” of RMO No. 15-03. If all documents are complete, the CAR and TCL should be ready after around two (2) weeks. Just call the contact person at the number on the Claim Slip or “CS” (Annex “C” of the RMO 15-03) and they will give you to inquire if the CAR is ready. When you call, be sure to have the claim slip with you so you are ready with the CS No., date filed, and the name of the transferor and transferee.